F Petr Kalus (Regina, 2005-06) has been released by the Nottingham Panthers (England, UK Elite). He had one assist in four games. Earlier in the season, he was pointless in three games with Orli Znojmo (Czech Republic, Erste Bank Liga). . . .
F Adam Courchaine (Medicine Hat, Vancouver, 2001-05) has been released by Székesfehérvár (Hungary, Erste Bank Liga) by mutual agreement. He had five goals and five assists in 16 games. Like a number of other hockey people, Jeff Chynoweth, the president and general manager of the Kootenay Ice, spent Sunday reflecting on the life of Marek Svatos. Svatos, who played for the Memorial Cup-champion Ice in 2001-02, was found dead on Saturday. 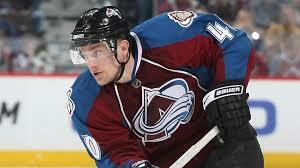 Svatos died in Lone Tree, Colo., near Denver. He was 34. “Lone Tree police responded to Svatos’ home on Bluffmont Street after a family member called shortly after midnight for medical aid, Sgt. Ryan Gallegos said Sunday. He didn’t divulge details of the call. From Kosice, Slovakia, Svatos, who was selected by the Ice in the CHL’s 2000 import draft, played two seasons (2000-02) with the Ice, totalling 118 points, including 61 goals, in 92 games. In his second season, he put up 77 points, 38 of them goals, in 53 games. He played 32 playoff games with Kootenay, scoring 19 goals and adding eight assists. In four Memorial Cup games, he had a goal and four assists. Svatos came over to Cranbrook after being drafted, but wasn’t able to play immediately for the Ice as his club team in Slovakia, HC Kosice, wouldn’t release him. En route to the Memorial Cup title, the Ice ran up against the Prince George Cougars in the first round. The Ice, then in the B.C. Division, had finished 38-27-0, two points behind the division-champion Kamloops Blazers and four ahead of the Cougars (34-27-2). Svatos went on to play 344 NHL games, all but 28 of them with the Colorado Avalanche, and put up 172 points, including 100 goals. His career was short-circuited by shoulder and knee injuries. Svatos is survived by his wife, Diana, and two children. Imagine the surprise on Mark Ferner’s face when the general manager and head coach of the BCHL’s Vernon Vipers discovered a stranger in the team’s dressing room prior to a game in Duncan, B.C., on Friday night. “I asked who he was and what he was doing there,” Ferner told the Vernon Morning Star. “He ran and I chased him,” Ferner said. Ferner’s players were out and about on a pre-game run prior to playing the Cowichan Valley Capitals. Later, the Vipers watched a 2-0 lead disappear as they lost, 5-2, to the Capitals. The Morning Star’s story is right here. Brutal stretch for @pdxwinterhawks. 8 straight losses, all were 1-goal games in the last 2 minutes. At Portland, G Rylan Parenteau blocked 44 shots in leading the Tri-City Americans to a 3-2 victory over the Winterhawks. . . . Tri-City overcame a 2-0 first-period deficit. . . . F Jake Gricius (2) and F Ryan Hughes (6) scored for Portland. . . . Tri-City F Kyle Olson started the comeback with his sixth goal at 8:45 of the second period. . . . The Americans tied it at 5:25 of the third period when F Michael Rasmussen counted his WHL-leading 16th goal on a PP. . . . The game-winner came from F Parker AuCoin, his seventh goal this season, at 11:14 of the third period. . . . Parenteau is 6-2-1, 3.57, .900 since the Americans acquired him from the Prince Albrert Raiders. This was his 50th regular-season victory. . . . G Cole Kehler turned aside 28 shots for Portland. . . . Tri-City was 1-3 on the PP; Portland was 0-4. . . . The Americans (12-6-1) have won four in a row. . . . The Winterhawks (8-11-0) have lost eight straight. . . . Announced attendance: 5,856.